For over 42 years and counting, Owens & Strussione, P.C. 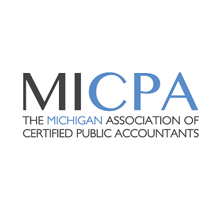 has been one of Michigan's leading auditing and tax firms in the area of condominiums, cooperatives, homeowner associations, and property owner associations. We believe in being accessible and proactive so that clients can fully realize the benefits of our expertise. Whether it is explaining a complex financial statement or simply a prompt reply to a client's question or message, we place a premium on professional service and communication. © 2019 Owens & Strussione, P.C. All Rights Reserved.